Service | Sterling Truck & Trailers ltd.
At Sterling Truck and Trailer Sales, we have been in the business of servicing trucks and trailers since 1972, it’s ALL WE DO! 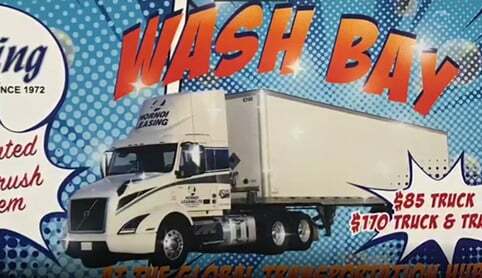 Our facilities feature full service truck and trailer bays - including quick-lube bays and drive-thru wash bays. Our locations are SGI and Alberta Vehicle Safety Inspection Stations. With extended service hours, we keep our customer’s wait times as minimal as possible. For our customer’s comfort, we have a modern Driver’s Lounge complete with a shower and laundry facilities. Call us today of use the online appointment form! To utilize this service, call our regular phone number and follow the key prompts.